Why does a composer write for orchestra? The amount of time, labor, expense, and struggle involved, not just in composing an orchestral work but in having it accepted, rehearsed, performed, and (in a perfect world) documented, would seem to indicate a Sisyphean chore. Why would anyone invite the risk of pushing that mythic boulder to the mountaintop, only to be flattened by its descent? “Because it’s there,” the celebrated mountaineer George Mallory is famously reported by The New York Times to have said, when asked – after he’d attempted to climb Mount Everest in 1921 and 1922 – why he intended to have another go in 1924. The quotation might be apocryphal; it doesn’t matter. To the alpinist, the risk of the journey and the cost of the venture are far outweighed by the potential reward of an achievement few people can claim. Ingrid Laubrock is a born alpinist, to judge by this, her first recorded collection of orchestral works. Perhaps it should come as no surprise: She is, after all, a saxophonist and composer who risked much in venturing from Berlin via London to establish a base in busy, competitive New York City – an improviser’s Everest, one might claim. From her arrival in 2009, she wasted no time in making an impression with her piquant writing and potent playing. 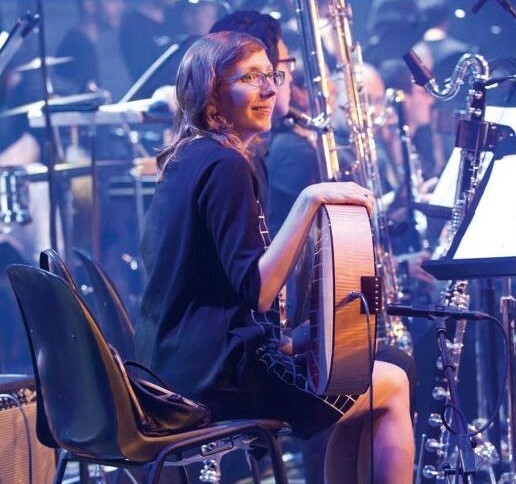 Laubrock, it bears asserting, had nothing to prove when she set her sights on the orchestra. Her credentials as an ambitious, skillful composer of intricate yet visceral works for small ensembles is well established—not least on the evidence of her excellent, much-admired Intakt recordings. 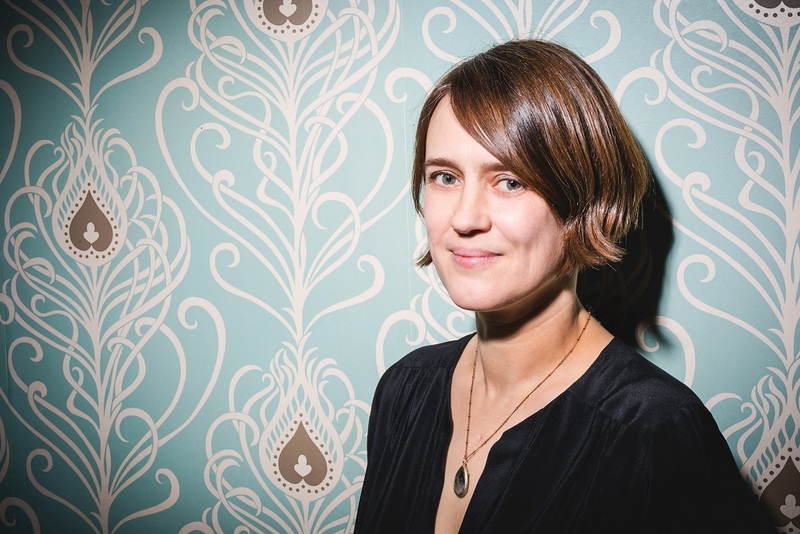 Whether writing for conventionally constituted assemblages like her quintet Anti-House and trio Paradoxical Frog, or for a more unusual complement, like the mix of tuba, koto, electronics, and more that she convened two years ago for Serpentines, Laubrock has demonstrated a formidable capacity for writing music of intricacy, integrity, and broad appeal. Still, no adventurous soul is content to stay in place. “The mountains are calling & I must go,” the naturalist John Muir is quoted as having said about his own call to action. Laubrock, an artist whose influences and formative experiences were many and varied, likewise felt the call of heights intrinsic to the orchestral experience: the mighty presence of massed musicians, the elemental weight and prismatic variety of the sounds they can produce, perhaps even the daunting scale of the venture itself. 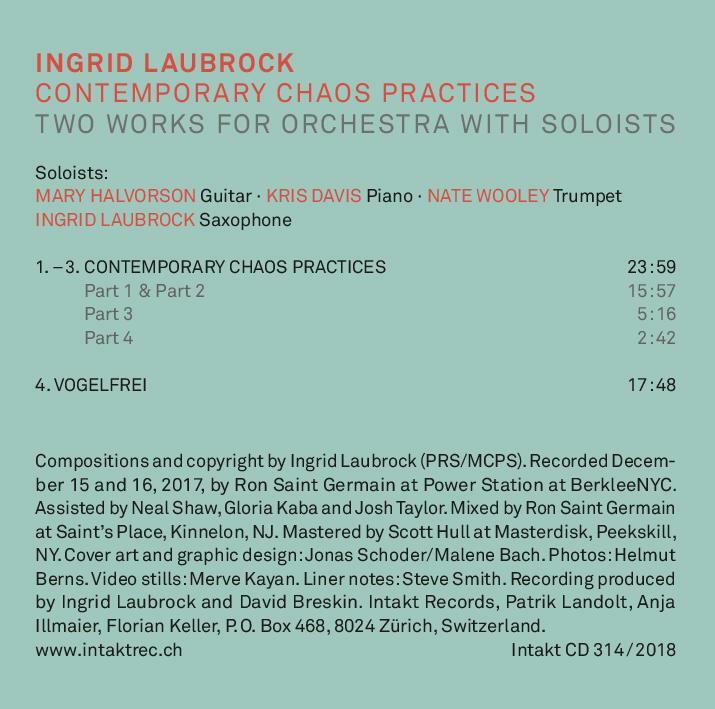 Both of the works included on this album are of recent vintage: Laubrock wrote Vogelfrei for the second Jazz Composers Orchestra Institute Reading, presented by the American Composers Orchestra at Columbia University in 2013, and created Contemporary Chaos Practices for the 2017 moers festival. 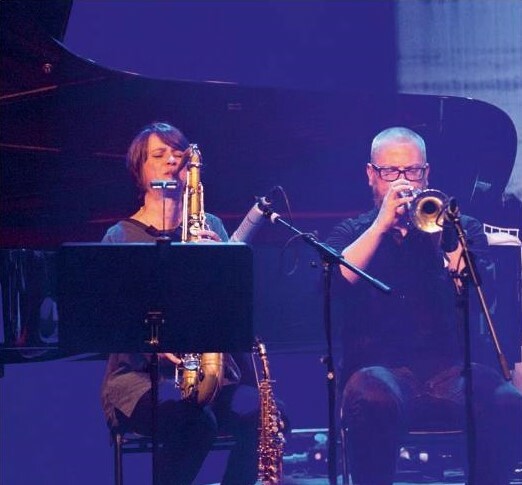 But the creative spark that led to their conception came many years before, shortly after Laubrock landed in New York, when she attended a program of large-ensemble works led by Anthony Braxton and Walter Thompson at Brooklyn’s Irondale Center. 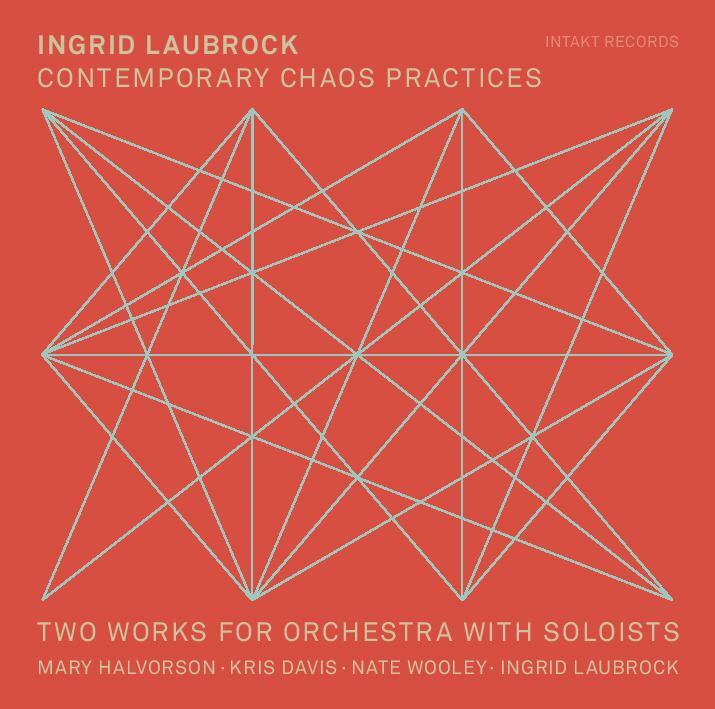 For Laubrock – who had encountered conduction previously as a performer with the London Improvisers Orchestra, and who had been mulling notions of orchestral composition already – the seamless blend of composition, improvisation, and conduction she encountered at Irondale proved invigorating. Still, that a largely self-taught musician would entertain the notion of orchestral writing was itself a show of courage and resolve. The orchestral world, even in the 21st century, is a gated community, seemingly off limits to composers whose background, heritage, or training deviates from narrowly conceived standards. Fundamental characteristics, like race and gender, also pose obstacles, if tacitly. Such issues were what motivated the American Composers Orchestra and the Institute of Jazz Studies at Columbia University to establish the Jazz Composers Orchestra Institute. “A stupid word like jazz is not going to hold me back from doing what I want to do with a set of instruments, or with a set of people, or with an environment, or with discourse,” the great composer and improvising trombonist George Lewis said during a public event in the institute’s first year. Taking Lewis’s message to heart, Laubrock participated in the second institute, held in Los Angeles. She produced the first version of Vogelfrei for that occasion, and then had opportunities to revisit and refine it subsequently for performances by the Tri-Centric Orchestra in New York and the EOS Chamber Orchestra Cologne at the moers festival— in the process adding an instrumental soloist (pianist Kris Davis), prominent parts for amplified contrabass clarinet (Josh Sinton) and trumpet (Nate Wooley), guided orchestral improvisations, and eight vocalists. The happy serendipity of a Moers curator being present for the Tri-Centric performance also led to Laubrock’s second opportunity to write for orchestra, resulting in Contemporary Chaos Practices, which involves an orchestra augmented with improvisers on saxophone, trumpet, guitar, and piano. Gazing at the scores for both works, one senses immediately the formal discipline Laubrock derived from close studies of scores by Ligeti, Lutoslawski, Xenakis, and other modern composers, who all had found practical, effective ways to codify spontaneous performance into their rigorously scored works. Laubrock goes even further to establish a confident détente between control and chance by employing two conductors: one to guide the ensemble in exactingly scored material, and another to reconcile Laubrock’s architecture with the players’ elaborations in improvised sections, tailoring the work to a given setting and circumstance. The present recording, recorded in a studio by an ensemble of first-call freelancers led by two ideally sympathetic conductors, Eric Wubbels and Taylor Ho Bynum, provides eloquent evidence of what Laubrock has achieved. 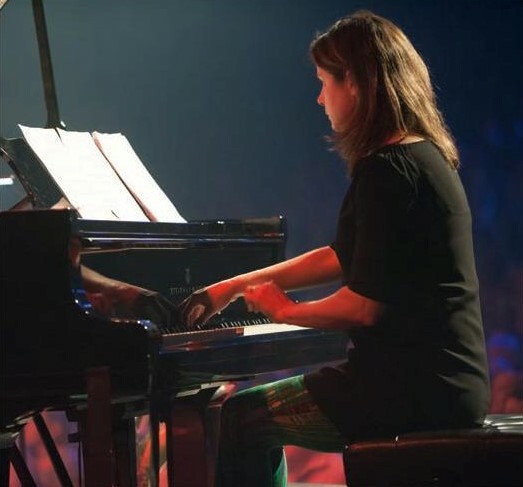 Both of her orchestral pieces – Vogelfrei, with its variegated textures, animated rhythms, swooping vocals, and inexorable momentum; and Contemporary Chaos Practices, where four instantly distinguishable soloists (Mary Halvorson, Davis, Wooley, and Laubrock herself) retain their individuality while negotiating a brilliantly rendered aural landscape – serve notice of an estimable composer who has something to say, and knows exactly how to say it. Steve Smith is the director of publications for National Sawdust, a performing-arts venue in Williamsburg, Brooklyn. 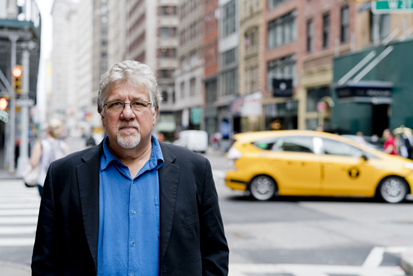 His writing has appeared in The New York Times, the Washington Post, the Village Voice, and other publications, and he previously served as a staff editor and writer for the Boston Globe and Time Out New York. One marker of bassist Michael Formanek's creativity and versatility is the range of distinguished musicians of several generations he's worked with. While still a teenager in the 1970s he toured with drummer Tony Williams and saxophonist Joe Henderson. Starting in the '80s he played long stints with Stan Getz, Fred Hersch and Freddie Hubbard. Formanek is also a composer and leader of various bands. 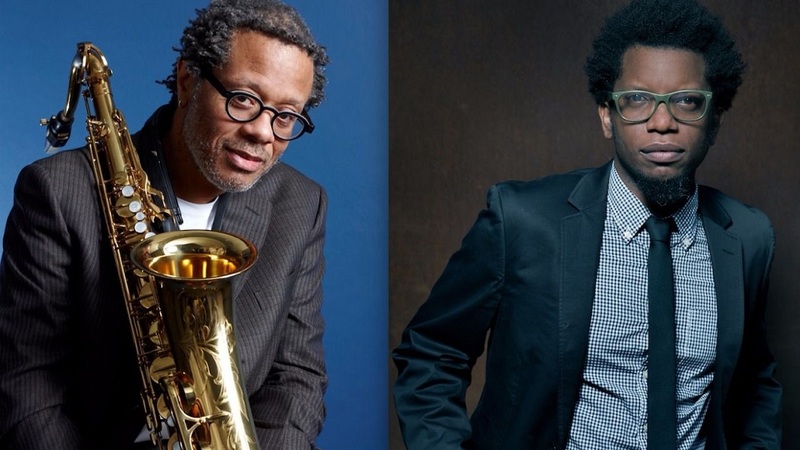 One of his principal recording and international touring vehicles has been his acclaimed quartet with Tim Berne, Craig Taborn and Gerald Cleaver. His occasional groups include the 18-piece all-star Ensemble Kolossus, roping in many New York improvisers he works with. 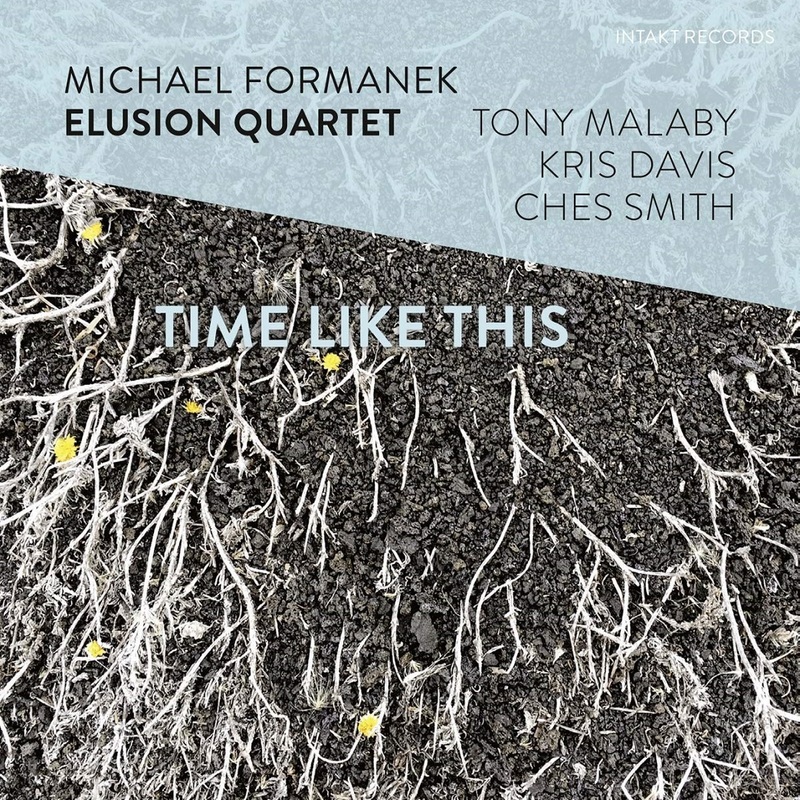 Currently his primary focus is the Michael Formanek Elusion Quartet with Tony Malaby, Kris Davis, and Ches Smith. 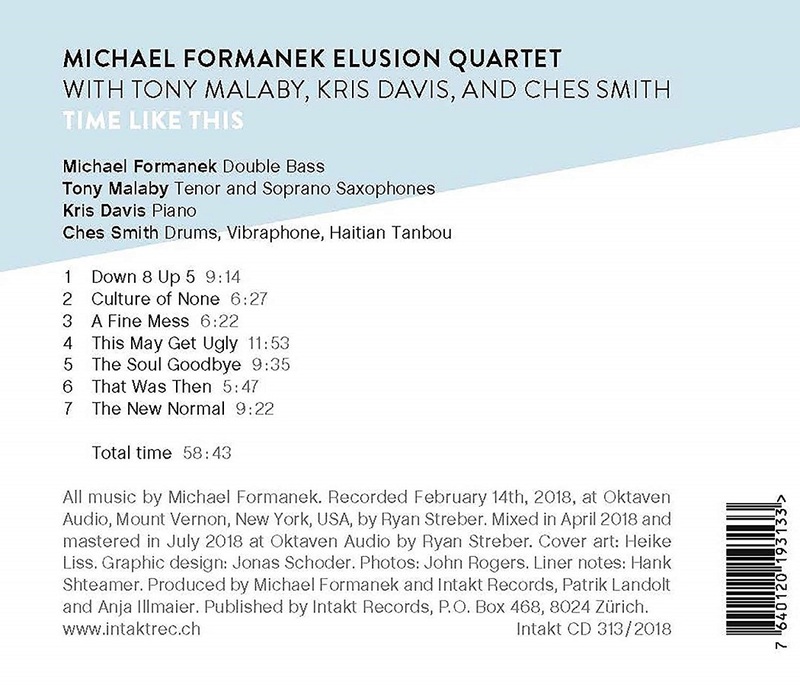 In putting together the Elusion Quartet, interpreting his music with these specific musicians, Michael Formanek says he sought "a more direct connection to emotions: mine, theirs and the listener's." Hank Shteamer writes in the liner notes: "As one zeroes in on the details of Time Like This, it's clear that this sort of emotional immediacy permeates the album. You hear it in Kris Davis' flowing, balletic solo on "A Fine Mess"; in Tony Malaby's ululating tenor cries on "The Soul Goodbye"; in Ches Smith's raucous grooves on "That Was Then"; or the leader's poised, sinewy lines on "Culture of None." Elusive? Certainly. But as this album proves, under the right conditions, with the right personnel, it's still out there." 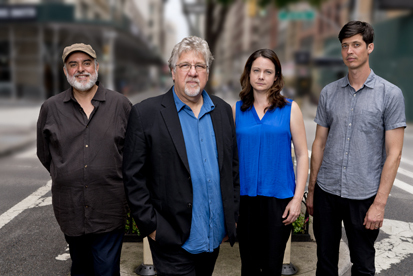 Der New Yorker Bassist und Komponist Michael Formanek präsentiert mit seinem Elusion Quartett ein neues, wegweisendes Projekt. Sein erstes Album auf Intakt Records versammelt vier höchst profilierte Musiker/innen verschiedener Generationen aus der New Yorker Jazzszene: den Saxophonisten Tony Malaby, die Pianistin Kris Davis und den Schlagzeuger Ches Smith. Er suche mit dieser Besetzung einen direktere Verbindung zu den Emotionen, sagt Formanek. Der Jazzkritiker Hank Shteamer schreibt in den Liner Notes: "Wenn man sich auf die Musik von "Time Like This" einlässt, wird evident, wie eine emotinale Unmittelbarkeit das Album durchdringt. Man hört es in Kris Davis' fliessendem, tänzerischem Solo auf "A Fine Mess", in Tony Malaby's heulenden Tenorklängen auf "The Soul Goodbye", in Ches Smith's rauen Grooves auf "That Was Then" oder in den balancierten, sehnigen Linien des Leaders auf "Culture of None". "Time Like This" ist die Musik unserer Zeit: erdig, atmosphärisch und bewegend. Musik, die Grenzen überspringt, swingt und anregt, reich an Klangfarben, voller Kanten und Schönheit und überraschend. All music by Michael Formanek. Recorded February 14th, 2018, at Oktaven Audio, Mount Vernon, New York, USA, by Ryan Streber. Mixed in April 2018 and mastered in July 2018 at Oktaven Audio by Ryan Streber. Cover art: Heike Liss. Graphic design: Jonas Schoder. Photos: John Rogers. Liner notes: Hank Shteamer. Produced by Michael Formanek and Intakt Records, Patrik Landolt and Anja Illmaier. Published by Intakt Records, P. O. Box 468, 8024 Zürich. Ortiz, who grew up in Santiago, Cuba, and has lived in the U. S. since 2002, is among the most creative pianists on jazz's landscape. As a boy he was performing Cuban popular music. His studies broadened to include jazz, first in Europe, finally New York, where he now lives. Don Byron stammt aus der Bronx, New York. Aruán Ortiz ist in Santiago de Cuba aufgewachsen. In New York haben sich die beiden getroffen. 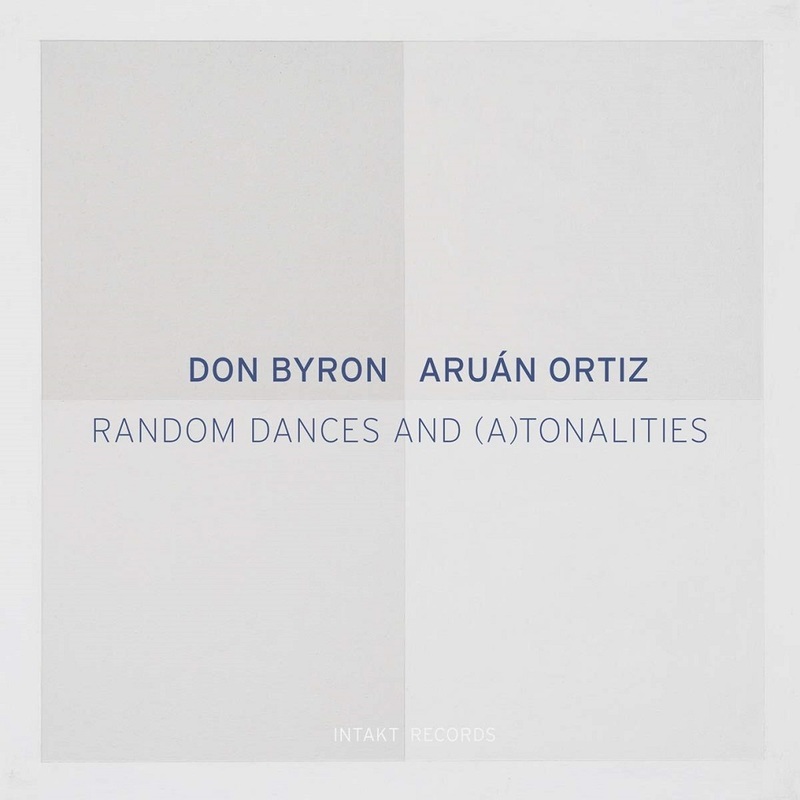 Byron, der weltbekannte Klarinettist, der für die Labels Nonesuch und Blue Note erfolgreiche Platten aufgenommen hat, lud den jüngeren Pianisten in seine Quartett ein. Dann kam es zu einer Duo-Europatournee und auf Einladung von Intakt Records zu Aufnahmen in Zürich. Der kubanische Pianist Aruán Ortiz, als Rising Star gefeiert und für die für Intakt Records aufgenommene Solo-Platte "Cub(an)isme" von der amerikanischen Jazzzeitschrift "Downbeat" mit der begehrten und selten verliehenen 5-Sterne-Rezension ausgezeichnet, findet in Don Byron einen passenden Partner. "Ich schätze seine Kühnheit ohne künstlerische Grenzen. 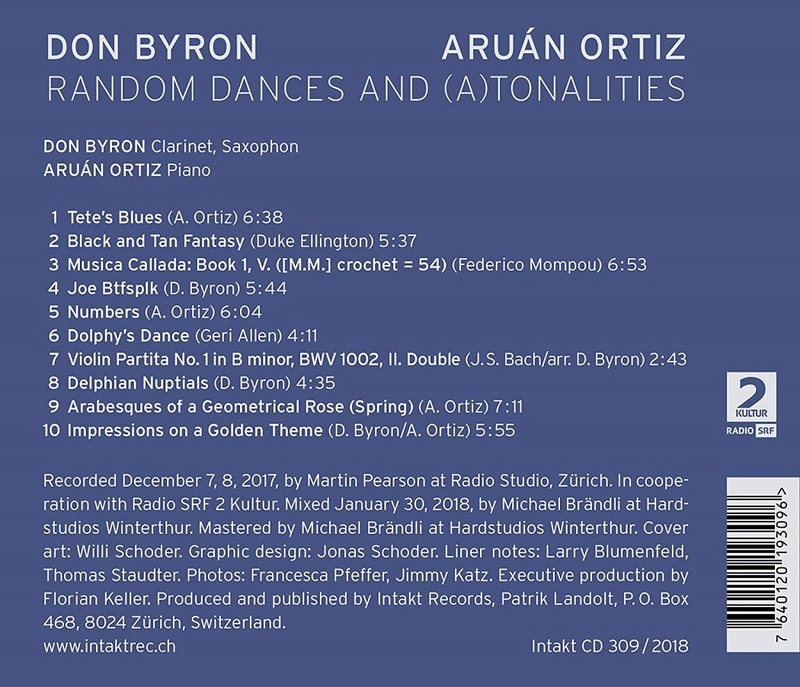 Er ist ein Innovator zwischen Jazz, Klassik, Karibik und Klezmer", sagt Ortiz über Byron. Recorded December 7, 8, 2017, by Martin Pearson at Radio Studio, Zürich. In cooperation with Radio SRF 2 Kultur. Mixed January 30, 2018, by Michael Brändli at Hardstudios Winterthur. Mastered by Michael Brändli at Hardstudios Winterthur. Cover art: Willi Schoder. Graphic design: Jonas Schoder. Liner notes: Larry Blumenfeld, Thomas Staudter. Photos: Francesca Pfeffer, Jimmy Katz. Executive production by Florian Keller. Produced and published by Intakt Records, Patrik Landolt. Oct. 18: NEC Jazz Orchestra - "Tonight: The Music of Leonard Bernstein"
The program includes selections from Bernstein’s beloved Broadway masterpiece West Side Story, a piece he wrote for Billie Holiday entitled “Big Stuff,” and “Almighty Father” from his Mass. The program will also feature his “Prelude, Fugue, and Riffs,” which Bernstein described as "a serious piece of American music," premiered on the "Omnibus" television show entitled "The World of Jazz." The concert will include more music from that 1955 TV show, including Bernstein's blues arrangements as well as two contrasting perspectives on the jazz standard "Sweet Sue, Just You." The concert is one of numerous NEC events to celebrate Bernstein’s centennial. A Boston native, Bernstein was an alumnus of NEC Prep and one of America’s greatest 20th-century composers, conductors, and educators. The celebration includes the exhibit Leonard Bernstein at 100 on display at the Student Life and Performance Center through November 11. The exhibit features more than 150 artifacts including photographs, personal items, scores, correspondence, and films. Visitors will learn about Bernstein’s early years from Boston Latin to Harvard, and enjoy interactive displays on West Side Story and conducting.  Other Bernstein 100 events feature the NEC Philharmonia on October 3, NEC Symphony on October 17 and November 7, NEC Opera on October 23 and 24, NEC Youth Philharmonic on November 15, and NEC Youth Chorale on November 11. 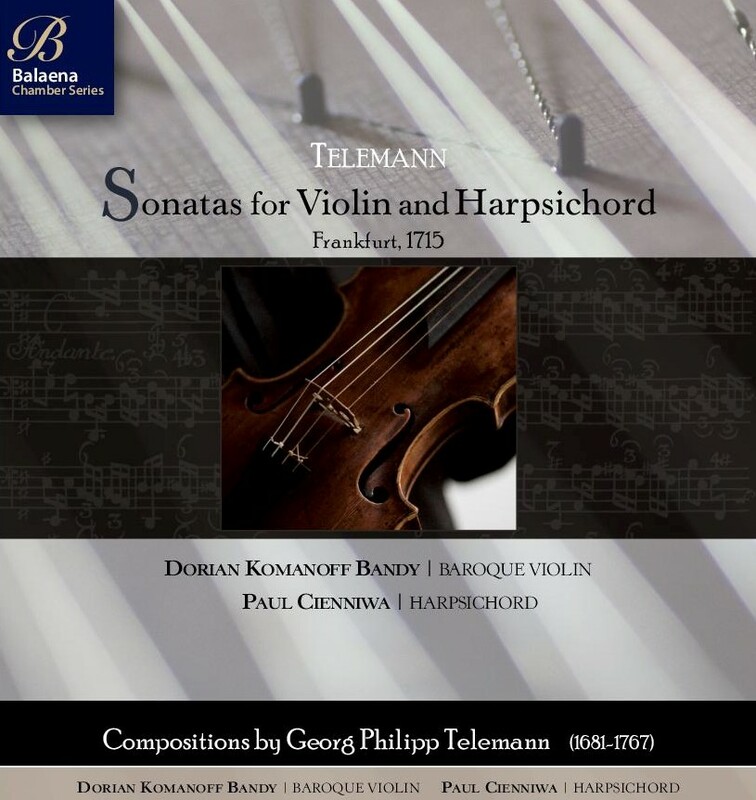 Whaling City Sound is delighted to present Telemann: Sonatas for Violin and Harpsichord (WCS108), expertly performed by Dorian Komanoff Bandy, baroque violin and Paul Cienniwa (SIN-uh-wah), harpsichord. German Georg Philipp Telemann (1681-1767) was one of music’s great mavericks, an aesthete with a restless mind and cosmopolitan tastes. During his nearly seven-decade career, he sampled every conceivable genre, idiom, and national style, and incorporated a dizzying number of them into his music. The Violin Sonatas of 1715 are so wide-ranging in both idiom and expression that, heard together, they constitute a microcosm of Telemann’s art. Other recordings of these works often include cello. These pieces, however, were written specifically for the duo instruments — just violin and harpsichord. In this inventive presentation, Bandy and Cienniwa didn’t think of them as six individual pieces, but a single big piece with 24 movements. The Sonata in F sharp minor is a real rarity and this may be its world premiere recording. Unpublished in his lifetime, the manuscript is signed as George Melante, a nearly-anagrammatic pseudonym. Recorded in high-resolution at WGBH Studio, Boston, the album is offered on CD, high-resolution and conventional downloads and streaming services. With a repertoire spanning 400 years and six instruments, Dorian Komanoff Bandy is one of the most versatile talents to emerge on the early music scene. His “spectacular violin playing” (PlanetHugill), marked by “sensibility and virtuosity” (Musical Pointers), has charmed audiences in venues ranging from London’s Wigmore and Cadogan Halls to Amsterdam’s Concertgebouw and New York’s Symphony Space. For four years he was leader and co-director of Musica Poetica (London); he is now a frequent guest concertmaster/soloist with the Rococo Consort, Sinfonia New York, the Amphion Consort (London), Musical Offering (Boston), and other groups across Europe and North America. Dorian holds degrees from London’s Royal Academy of Music and Cornell University, and is currently completing a PhD at the University of Glasgow. In 2010 he was awarded the coveted Marshall Scholarship. Cited by the Huffington Post for his “inner sense of creative flow, fueled by an abundance of musical imagination and desire,” harpsichordist Paul Cienniwa has an active career as a soloist, ensemble player, recording artist, and teacher. In 2017 he began as Director of Music Ministries at St. Paul’s Episcopal Church in Delray Beach, FL. Prior to that, he was music director at First Church in Boston; Chorus Master of the New Bedford Symphony Orchestra; and served on the faculties of the Music School of the Rhode Island Philharmonic, Framingham State University, and UMass-Dartmouth. He was awarded the Doctor of Musical Arts degree in harpsichord from Yale University in 2003. This is Paul's third recording for Whaling City Sound. Founded in 1999, Whaling City Sound was established to provide the musical audience with a bit of our abundance of outstanding musicians. We strive for innovative musicianship and impeccable recording quality; a platform for our artists to be heard and enjoyed by a wider audience.